Though you may not think about your home’s plumbing very often, you rely on it every day. You use it to do your laundry, brush your teeth, wash the dishes, and shower. Yet, when something goes wrong, you may not know what to do. Consider the guide below, which will help you better understand when to hire a plumbing service. When Should I Call for Help With My Plumbing? If your water remains cold, regardless of how hot you try to set it, you’re likely experiencing an issue with the water heater. Because these appliances use a combination of electricity, gas, and water, it would be unwise to attempt to fix the problem yourself. Instead, rely on a plumber, who will determine if the source of the issue stems from minor component malfunction or a complete breakdown. 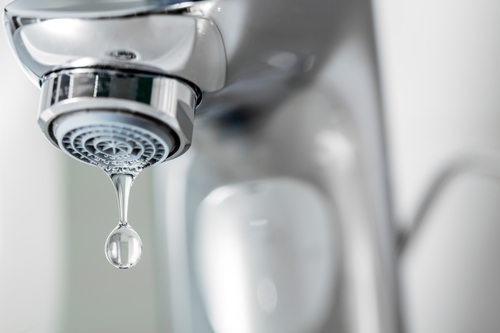 If you try to take a shower or wash your hands and notice that the water pressure has suddenly dropped, you could be experiencing a variety of problems. Determining the source of the issue can be difficult for untrained individuals. For example, poor pipe design, obstruction, or other issues that you may not be aware of could cause the problem. It’s often best to let a plumbing service use their experience to find the source of low pressure. Clogged drains can be difficult to repair. Plus, trying to fix the issue yourself may cause more damage to the pipes. This problem occurs when inappropriate solids are flushed down the drains or allowed to accumulate over time. If you experience a clog, a plumber will help you clear the pipes and ensure they remain in top condition. When you need the help of a plumbing service, reach out to the experts at McKenna’s Rochester Kitchen & Bath Centers. Based in Fairport, NY, this company offers more than 50 years of experience in providing excellent solutions and unmatched customer service. To learn more about their plumbing and septic services, call (585) 427-2320 or visit their website. Follow them on Twitter for the latest updates.